This gentle cleanser deeply cleanses, removing all makeup and impurities and leaves skin soft and dewy. 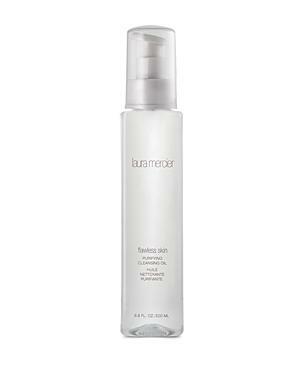 Laura Mercier Purifying Cleansing Oil/6.8 Oz. Laura Mercier Infusion De Rose Nourishing Oil/1 Oz.